"My snoring was so noisy that my wife couldn't sleep in the same room, even my children insisted that I keep the bedroom door shut. Getting used to snore Defense took me 2 weeks but it stopped my snoring. Now I can sleep in the same bed with my wife, I sleep through the night and in the morning I am well rested, even if I forget the door open it's not a big deal. This really worked for me. Again, thank you so much." "I am so grateful for the helping me solve my problem! 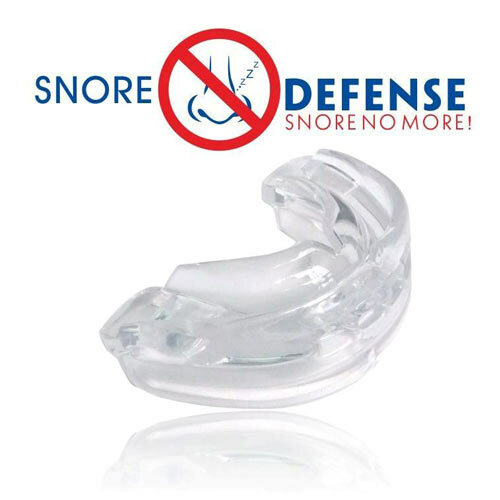 Snore Defense worked from the FIRST time I used it and I was comfortable with my Snore Defense by night three! It is actually good for a change to find a product that actually works. 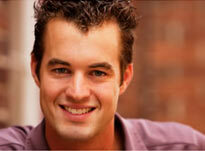 I have forgotten all about snoring since I began using Snore Defense!" "I have had to put up with snoring for many years. I've participated in sleep studies and have consulted several experts. I have bought several different over the counter products to soften my snoring with little success. I got my Snore Defense and last night was the first good night's sleep that I have had since a long time. My girlfriend was astonished that I slept so peacefully. Snore defense takes a while to get used to but it is worth it. Thank you so much!" "It REALLY has changed our life! Waking up next to my husband every morning is priceless! 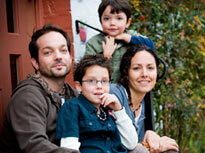 I couldn't believe that there is such an incredible, immediate solution!" "Wonderful. I bought Snore Defense, but I did not believe it will do much. I thought it would be another TV advertising craze. But I was completely wrong. I stopped snoring right away. My husband now sleeps without any problems next to me and in the morning I feel full of energy. Thanks, Snore Defense." "Well I have been sleeping with Snore Defense for 4 nights. The first time was incredible and I wanted to know if I snored and my wife said I did not. I really did not realize how loud I snored but I woke up and felt so exhausted during the day. My wife said my snore was so terrible that I was suffocating and woke up both of us. All of you who have problems with snoring. Make yourself happy, make the one you love happy, buy Snore Defense. You won't regret it. Sleep soundly." "Wow! A really great product! My partner ordered this product after trying numerous nasal strips. He didn't have to sleep on the couch anymore. It actually worked from the first time and it did not take him any time to get accustomed to it! I am very surprised!" "I had to sleep in a separate room in order both of us to get some sleep. Otherwise it was constantly, "honey, roll over" wake-ups and so on. My mother proposed to buy one of the mouth devices that moves the lower jaw forward. Not knowing what else to do I listened and ordered Snore Defense. I assure you since my husband started using it, he sleeps like a baby. It may take some time to get used to the new position of your jaw, but for us, it was so worth it! I can't thank you enough for this product!" "Prior to using Snore Defense, my husband and I couldn't sleep much. It was awful, I would get up with a headache, I even gained a few pounds. To compensate for the lack of sleep I started eating more. On top of that I felt tired and exercised less. Since starting to use Snore Defense I feel like a new person. I'm not tired anymore and I feel energized. The pain in the morning is gone. Snore Defense is a good bargain!" "Just wanted to tell my story. I'm 50 years old and I have been snoring for 20 years. No need to mention that we couldn't sleep with my wife in the same bed. Since I started having this problem I have used plenty of over-the-counter stop-snoring products but with little effect. Out of curiosity I ordered Snore Defense to see if it can help. To my surprise, it did. After so much time we can sleep in the same room without any problem. Thank you for the nice product- it did wonders for me. I will tell all of my friends about it and if something happens to mine, I will get a new one."